Eighty percent of the 888 drivers arrested for drink or drug-driving in Northamptonshire last year were men, police have revealed. The statistics were announced this morning as Northamptonshire Police launched their annual Christmas campaign that will see officers taking breath test readings from drivers throughout December. 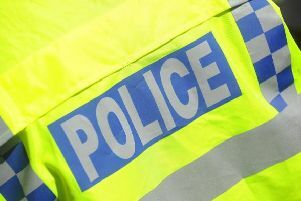 The enforcement activities will be carried out by officers from the joint Safer Roads Team (Northamptonshire Police and Northamptonshire Fire & Rescue Service), as part of their work to cut the number of collisions on the county’s roads. They will run alongside ongoing education work conducted by the team, which will take place within communities. Kamila Kemblowska, Safer Roads Team Community Engagement Officer, said: “We hope everyone will have a happy and safe Christmas. We would always say that if you’re driving, it’s better to have none for the road.